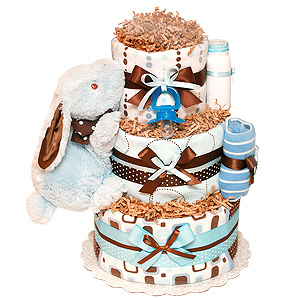 We are one of the few stores where you can find baby diaper cake that is right for you! Baby diaper cake is probably of the most unique gifts for a baby shower. And although your baby shower is going to benefit great form having just about any baby diaper cake as a decoration or as a gift, you can go even further to make sure that it's as unique as the baby whose life you're going to be celebrating. You can see that we have probably one of the biggest collection of baby diaper cakes available online. You can go ahead and pick one those baby diaper cakes, or you can order a custom diaper cake to make sure it perfectly fits your baby shower theme and your decorations. Are you a blogging mom? You might like our WordPress mom theme. We designed this theme to help moms blogging about family and everyday mom experiences look a little bit better and stand out from other blogs. Also check this natural wordpress theme. Baby shower is one of the most touching events a woman can experience. It is a celebration of life, life that has been going on within mom's body for several months and is ready to come out to this wonderful world. It is also celebration of pregnancy, pregnancy that is filled with all kinds of emotions and changes and that comes to a great end. Every pregnancy is different just as every mom is different and unique. To celebrate that fact we want you to have an ability to create your own unique diaper cake that is going to reflect the spirit of mother-to-be and her baby. If you don't have experience in making diaper cakes or not sure how to make a diaper cake, it doesn't mean that you can't give a great and unique handmade gift to an expecting mother. We create the solid base for your unique baby shower centerpiece and you use your own creativity to add decorations that will reflect your style and add multiple baby products that mother-to be is certainly going to appreciate and love. 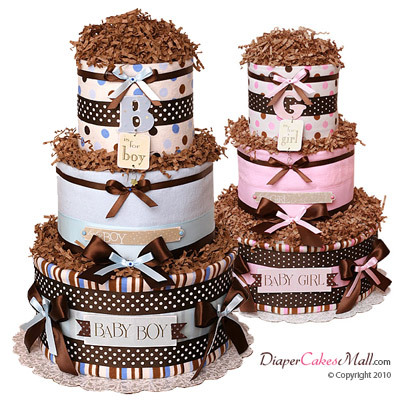 Go ahead purchase one of our undecorated diaper cakes and wow everybody at the diaper shower with your unique design. Have you ever wondered about natural skin products? Baby skin can be very sensitive. And some soaps have harsh chemicals that can irritate skin. It is always nice to have all natural ingredients and no chemicals in your everyday skin products, especially for babies. NaturalSoapBoutique.com offers great natural skin care products, including natural soap and organic soap without harsh chemicals. We often use teddy bears in our diaper cake designs. Winnie the pooh and various GUND teddy bears. TeddyBearToy.com is the source where we get teddy bear toys for our diaper cakes. Our mission is to give you an opportunity to surprise mother-to-be with one of the most unique ideas for baby shower - Diaper Cake. 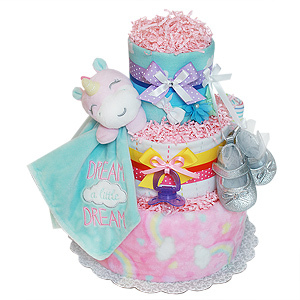 Diaper cakes are made from diapers and items that are necessary during first months of baby arrival for great baby care. It's not just a great idea it's also a very practical gift. All items included in our diaper cakes are essential and all of them are going to be used. On top of that our diaper cakes are gorgeous. You can see that yourself. Either you're looking for a boy diaper cake, girl diaper cake or even twin diaper cake you can always count on high quality and original design ideas from us. All design ideas are generated by our staff and are available only from Diaper Cakes Mall. You can't find the same cakes anywhere else. We specialize on hand made unique designs, which are going to make your baby shower special and unique just as the baby whose life is being celebrated. Our friendly and knowledgeable staff is dedicated to making your experience us as enjoyable as possible. We are available on the phone and by email. Please feel free to ask any questions. We are ready to help you make your baby shower special and memorable. During years of customer service we have received multiple recommendations and thank you letters from our clients. Please feel free to read our testimonials. Here at Diaper Cakes Mall We use only highest quality materials, diapers and toys. All are brand new, absolutely clean and safe for baby. We never try to skimp on materials used or techniques that can lower quality of our baby shower cakes. Everything is hand made with great care and dedication by people who take pride in their work and really love doing what they do. We absolutely love babies and every cake that leaves our production line is a special creation that feels our hearts with love. 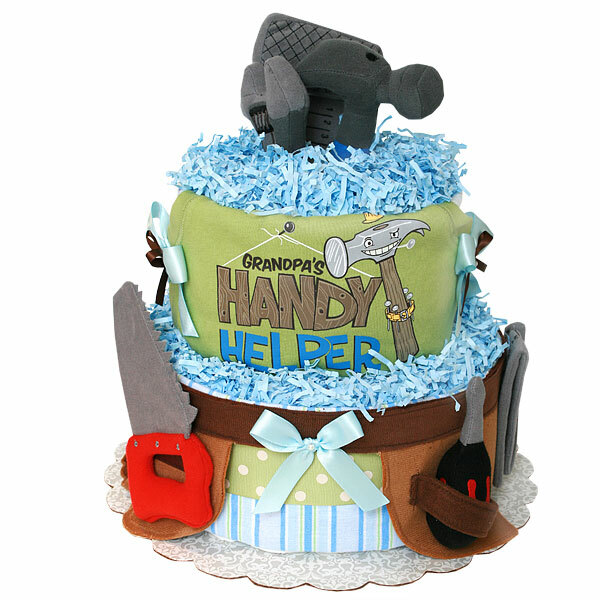 We don't use anything that can damage items or diapers in our cakes. All baby diaper cakes that you can see in store are freshly made and ready to ship next business day. Please, plan ahead and allow some time for diaper cake to be delivered to make sure you have it at least 3 days before your planned baby shower. You can estimate delivery date to your state on our shipping policy page. Every cake you can see is going to look exactly the same or better when arrived. We are constantly working to improve our processes to make your shopping experience a happy one. We take great care in making sure our diaper cakes are sturdy and can withhold shipping and arrive in the best condition that is possible. 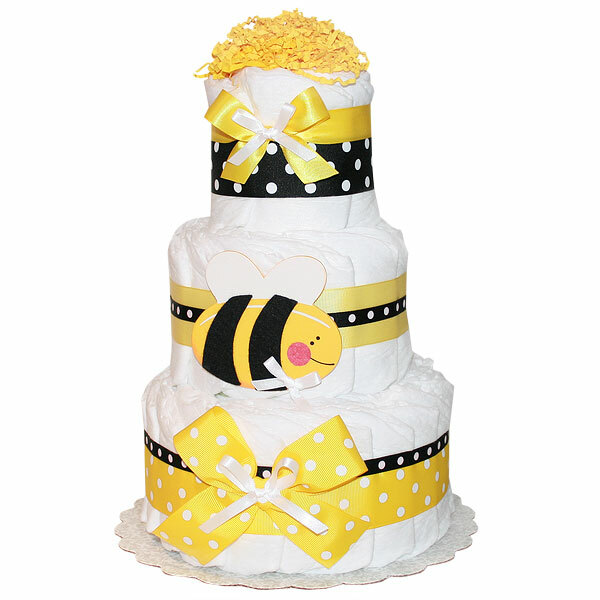 Our team strives to bring you the most unique and high quality diaper cakes at the lowest possible prices. Although our cakes are unique and you won't be able to find exactly the same designs anywhere else, if you find a baby diaper cake somewhere else that is similar to what we offer, give us a call and we will be happy to match full price including shipping with similar design from us. We want you to shop with confidence at Diaper Cakes Mall, knowing that you will receive great prices without having to sacrifice quality.